Relief shading illustrates physical details. Color bands make political boundaries immediately distinguishable. Write on with dry erase or china marker (sold separately), wipe off. Plastic strips at top and bottom prevent curling. 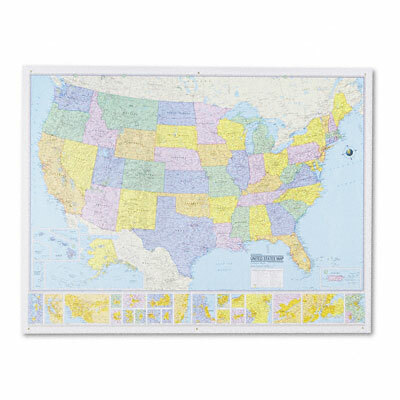 Improved digital cartography Relief shading illustrates physical details Color bands make political boundaries immediately distinguishable Write on with dry erase or china marker (sold separately), wipe off. Plastic strips at top and bottom prevent curling.